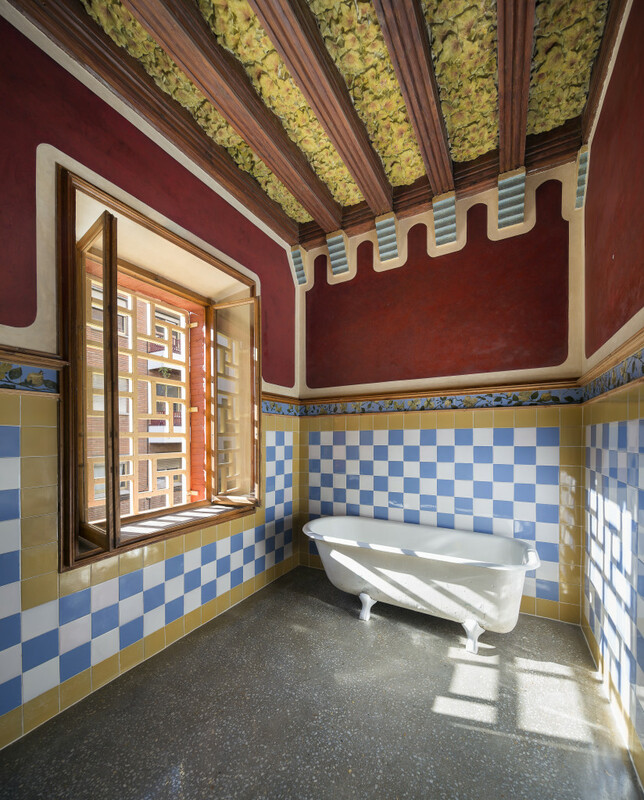 The project was handed to Gaudí in 1883 by Manel Vicens I Montaner – a Barcelonese banker and part of the fin de siècle society. 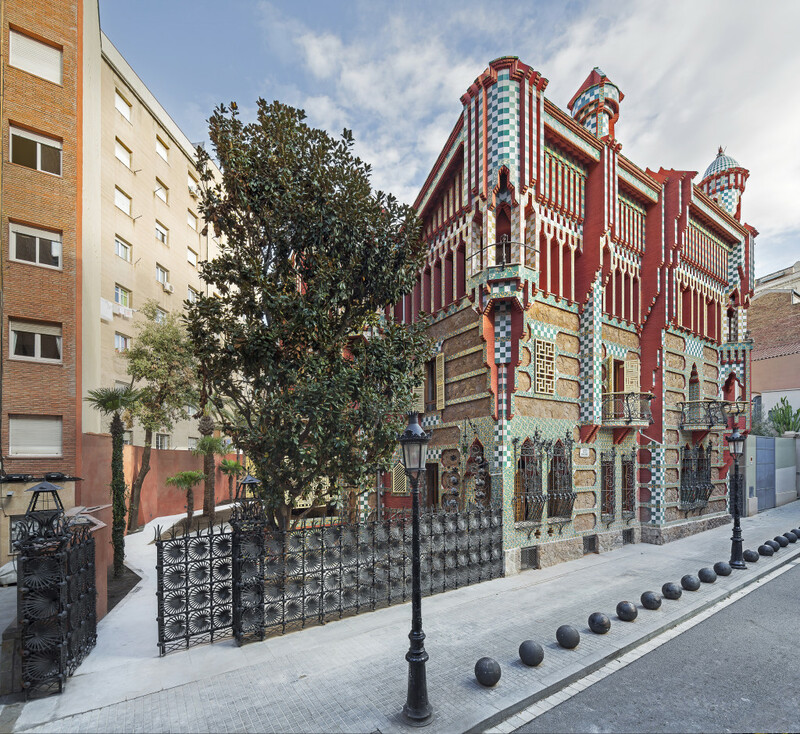 He wanted a summer estate for his family, and at the time the area was full of streams, fields and trees, a very different panorama to the residential blocks wedged around the Casa Vicens today. Gaudí was not long out of the city’s architectural college, and hadn’t the experience to develop the unique structural equations that typify his later works such as La Sagrada Familia and La Pedrera. Instead, he made the home stand out through decoration and color, and based it on the Arabic and Orientalist forms he had been studying in the library of the architecture school. 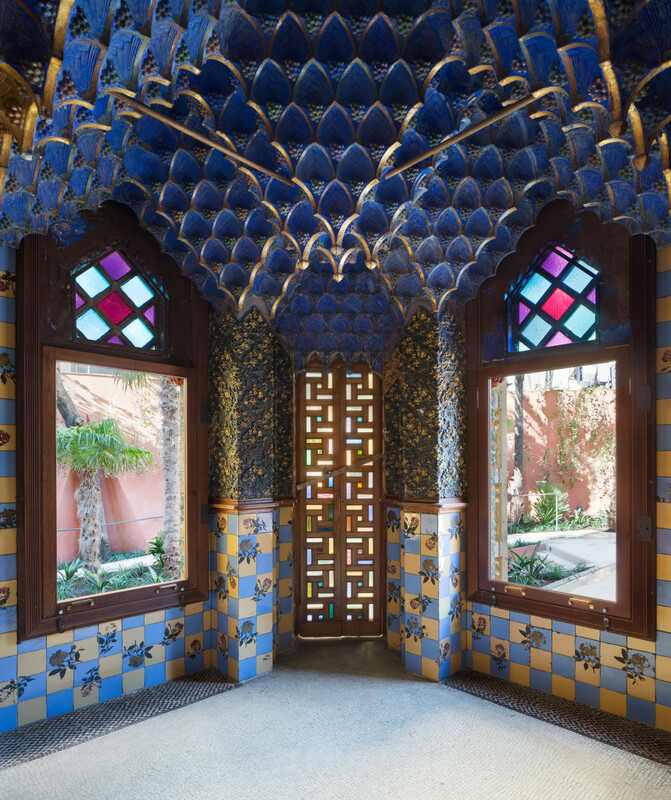 It’s impossible not be enchanted by the Casa Vicens. The façade of red brick and orange and turquoise tiles scattered with marigolds, is the home’s leif motif (and replicas are available in the giftshop). But inside there are many more marvels; bucolic frescoes, stucco work that depicts local flora, delicately painted friezes and a clandestine smoking room in Arabesque style where the men of the house retired for a pipe whilst overlooking the garden. 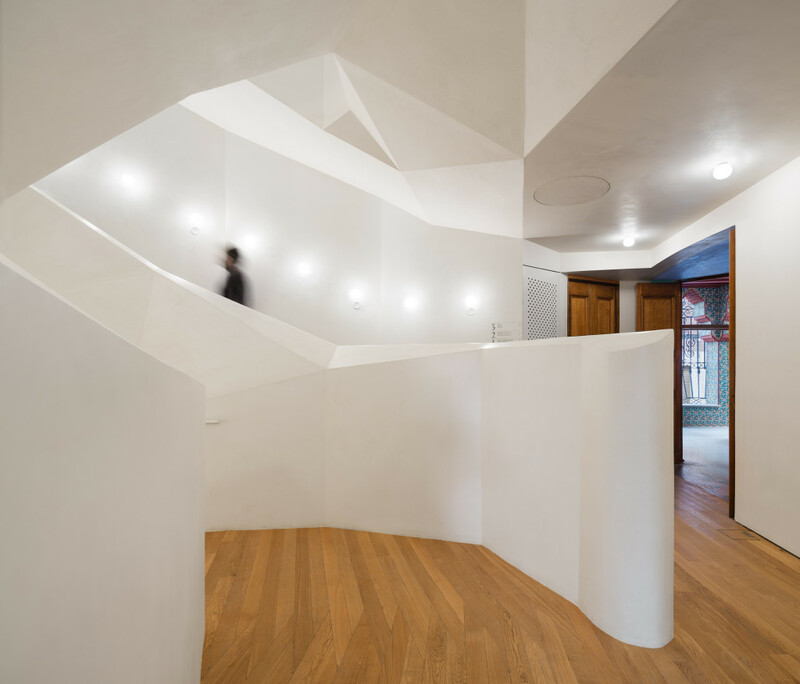 Apart from the restoration process, the challenge of converting the casa to a casa-museum was adjoining the two volumes (a doppelganger extension was added by another architect in 1925); which has been achieved with a poetic bone-white staircase designed by local practice Daw Office. 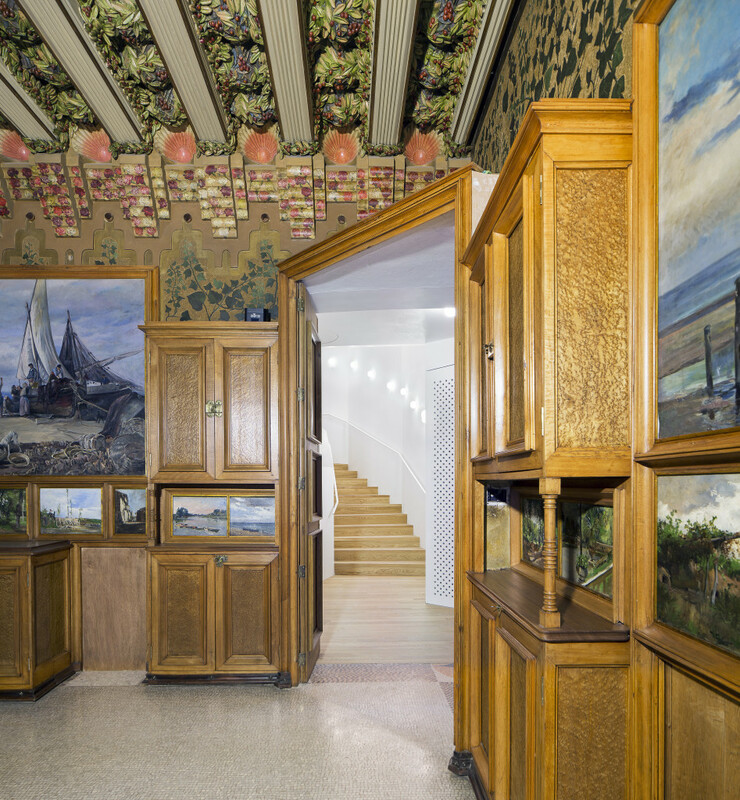 The attic, where there was less of Gaudí’s intervention, has been converted to a mini museum with models of emblematic homes from the likes of Frank Lloyd Wright and Mackintosh. You can have a glimpse the rooftop, sit under the shade of palm trees, and finish you visit with a snack at a splendid little café in the back garden run by the supreme caterers Hofmann. 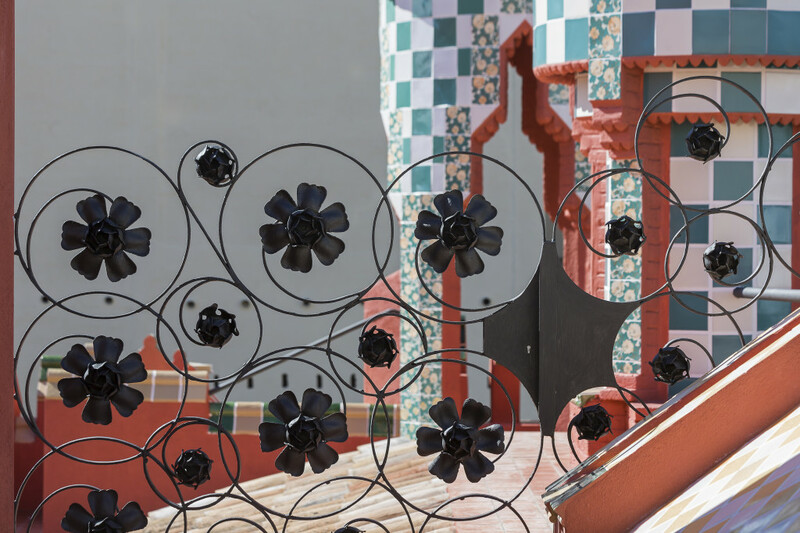 You can experience the Casa Vicens on our Off-the-Grid architecture tour, which takes you to Barcelona’s lesser-known modernista marvels.